You want your dog to be in the best health possible – so that means regular visits with a doctor you trust. 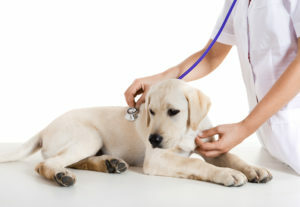 But how can you pick the right veterinarian for your dog? There are often many choices, and it’s difficult to determine who is the best fit for your pooch. These are some simple steps to select a good medical provider for your loved one. 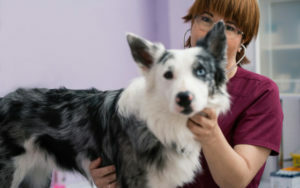 Selecting a doctor for your dog is a critical decision because, as we mentioned, you want the best for them. Think about it this way: how would you find a doctor for yourself? You can apply most of the same methods when researching and determining who will provide regular care to your dog. Don’t rush to Google and call the first hit when you search [your town] + [veterinarian]. Try some of these small steps to find some reputable nearby doctors. Tap your network. Look to those around you for input. Talk to people you trust and ask how they like their vet. Dr. Patricia Patterson, Staff Veterinarian of the Best Friends Animal Society told PetMD, “I always tell people to go with word of mouth. Ask friends, relatives, neighbors, local shelters or rescues who they use.” This way you’ll get to ask the questions that are most important to you, instead of scrolling through what’s important to others. Get a vet-approved referral. If you move out of the city or state, away from a doctor you and your pup love, ask if they have any recommendations. Just like you have a personal network, your former vet has a professional network that could be a good resource. Check the accreditation. When you’re looking at potential offices, figure out if they are accredited by the American Animal Hospital Association (AAHA). The accreditation means the animal hospital meets high veterinary care standards. They voluntarily complete an extensive evaluation of their services and equipment. Then an AAHA consultant evaluates the hospital to make sure it meets their high standards. You can find animal hospitals with AAHA accreditation with this site locator. Learn the details. When you narrow down the list of veterinarians think about some key factors: where is the office located? What are the office hours? If you prefer to communicate via email, will they respond promptly? Are appointments required? Now you’ve selected your vet’s perspective doctor. Consider each of the following elements. Beware of table stakes. Take a look around the waiting and examination rooms. You want to see a place that is neat and orderly. If you smell unpleasant orders, that can be a bad sign. Note how you feel in the environment. If you get good vibes, that’s a positive sign (but not the only data to rely on). Meet the professional staff. A veterinarian’s office isn’t just about the doctor. If you find the receptionist unpleasant or they don’t return phone messages, it could be uncomfortable bringing your dog into the office. Take note of the vet techs. They will work closely with the doctor and your pup, so you need to like them, too. Learn about all doctors in the practice. Some offices have more than one vet. If you have your heart set on one specific doctor, ask if you are able to request appointments with them. Ask about the services (and costs). Find out what can be done in the office. For example, do they provide emergency services? What about X-rays, ultrasound, bloodwork, and other diagnostics? Ask about general costs for services. You’ll want to know if the office takes pet insurance, or offers payment plans for costly medical care. When you are in the examination room with the doctor and your pup it’s time to think about these critical components. Schedule a meet and greet. 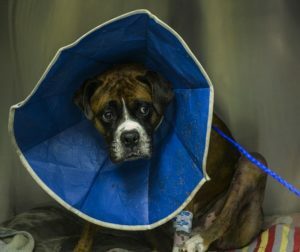 Hopefully, you aren’t in the position of needing care immediately because your pup is sick. If you can, make an appointment to get to know the doctor before critical care is needed. It will be easier to evaluate the doctor in a calm situation. Observe the doctor’s bedside manner. Some dogs are terrified of visiting the vet. If your pup is scared, take note of how the doctor handles the anxiety. No two dogs or two humans are exactly alike. What may be a good choice for you and your dog, may not be a good choice for your friend and her pooch. With a little bit of homework and thoughtfulness on your part, you’ll be able to find the best caregiver for your pup. Most importantly, trust your instincts. If something doesn’t feel right, it probably isn’t. After all, this person will be caring for a beloved family member, so do what’s best for you and your furry friend.